Assistant Deputy Minister, Community Services Department, government of Yukon. 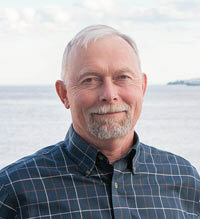 Eric previously served as Director of Parks for the Yukon Government and Director of the Yukon Climate Change Secretariat, Eric has extensive experience in natural resource management. He is proud to have been part of successful forest restoration and stream projects as well as forest certification development in Canada and the United States among other valuable conservation projects. Eric enjoys volunteering for schools, coaching soccer, and spending time outdoors where he, his wife Julie and their boys Timber and Griffin hike, fish, hunt and camp. He strongly encourages adults to take their kids outside every day!